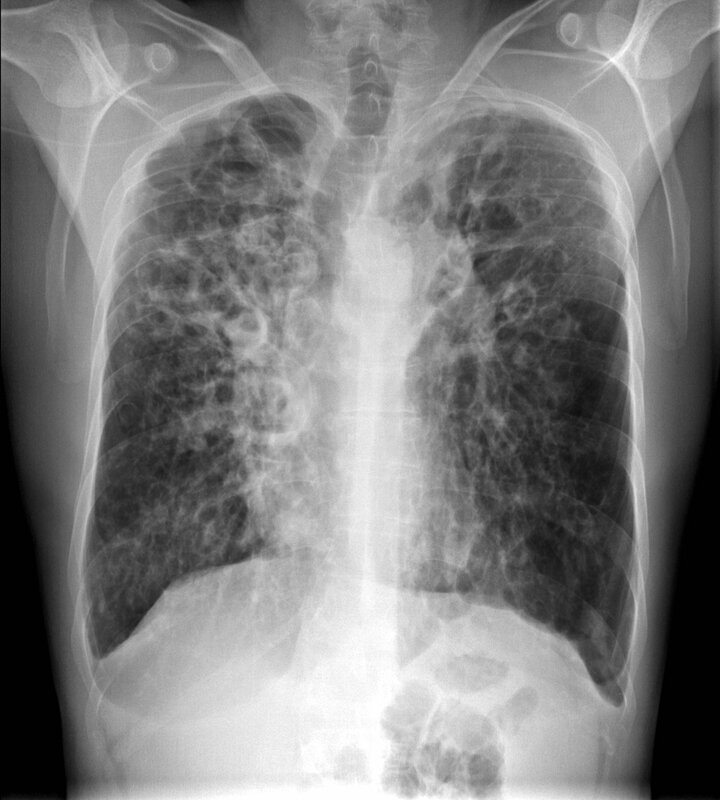 Image 1 (Plain Radiograph): Severe cystically dilated bronchi most marked in the upper lung zones bilaterally due to cystic fibrosis. 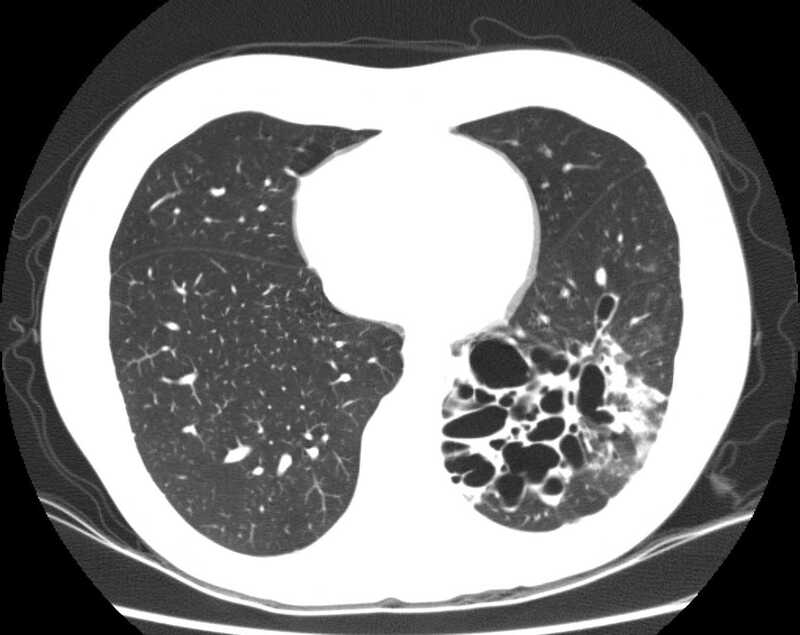 Image 2 (Computed Tomography): Multicystic space within the base of the left lower lobe which is continuous with the small airways and is representative of cystic bronchiectasis. 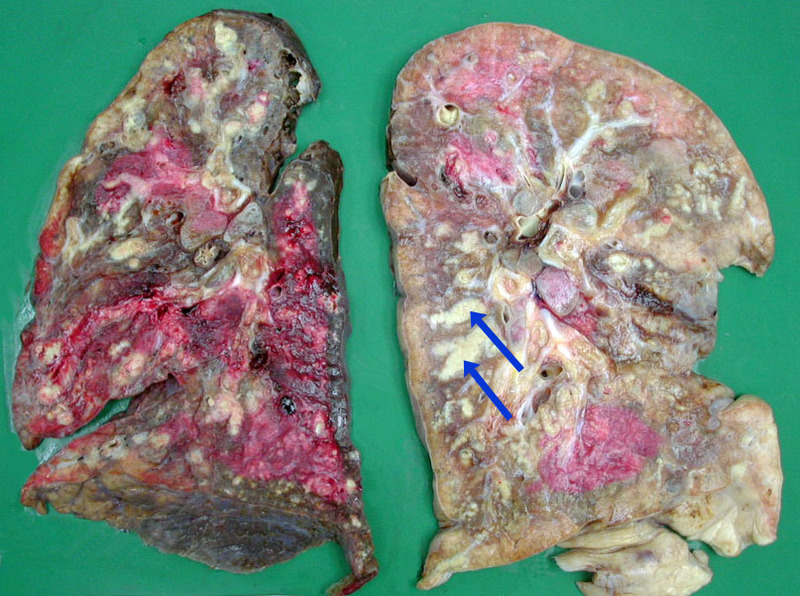 Image 3a: Pneumonectomy showing grossly dilated bronchi with mucous plugging (blue arrows) and distal consolidation. 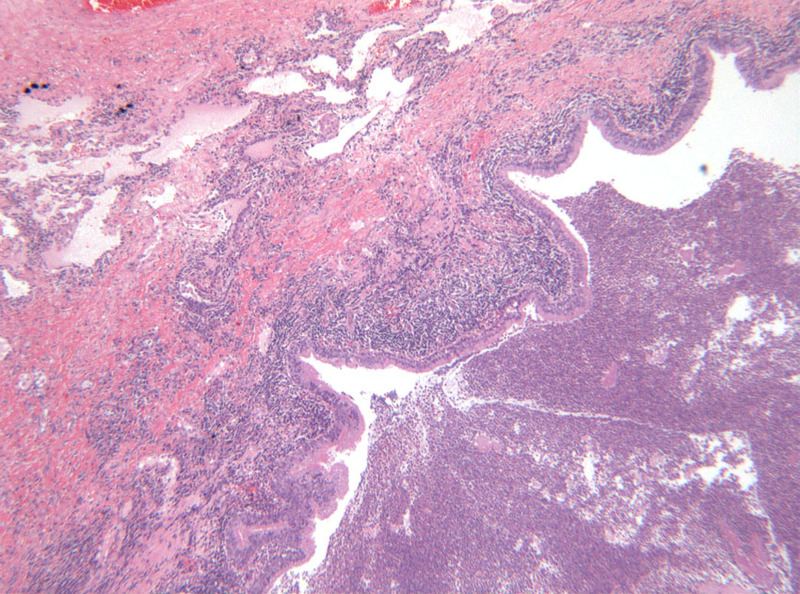 3b Image 3b (H&E, x2.5): Section of a dilated bronchi with florid acute on chronic inflammation of the bronchial wall and surrounding interstitial fibrosis.